Yacht service: Our “Flying Dutchmen” team experts attend every marina worldwide. For small service jobs we cooperate with local service companies and control the results. Yacht training: International Yachting schools are our partners. Additionally to your liking Holland Yachts director Leo Neumayer personally will train you or your captain. 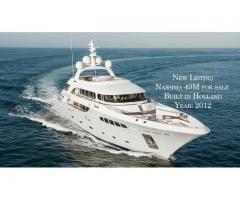 Company “Holland Yachts” is located in the Netherlands, Germany, Russia, and the Adriatic. 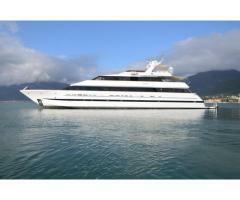 CARPE DIEM Superyacht Charter "LADYSHIP"